Well some of them at least. Well there is the all important question that every stylist gets, and it has an obvious answer, but if you have a parental figure asking you this.... DO NOT take on a tone of annoyance and say WELL DUH before this statement. (That is, if you value your teeth, and I do!) Now granted I love my surrogate mom so even if she asks me the same thing a thousand times Ill never be annoyed! She is just so darn cute!!!! As I was saying If you feel like your hair is never getting any longer then lets consider the abuse your hair takes on a regular basis. Curlers and Straighteners, that heat up, bend, pull and stretch your hair every way but the way it naturally goes, thus causing breakage. This is a very big thing that will prevent your hair from getting any longer than it currently is. Oh it is growing, but it is breaking off at the same time. So how to counter act this! 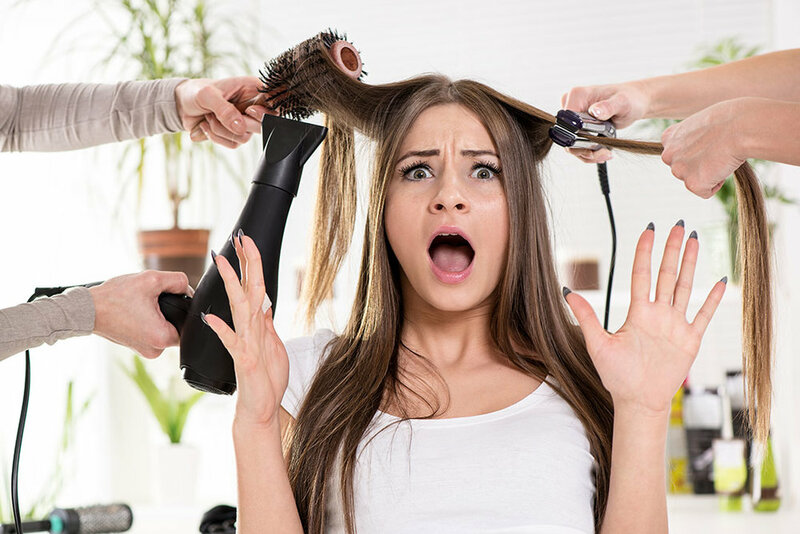 First let your hair dry on its own some before subjecting it to the blow dryer, and DO NOT put a brush or a fine tooth comb to your hair while still wet!!! Also when you do start using the blow dryer let the hair get mostly dry before you use the brush to start directing it on how you want it to lay. Why? you ask because while your hair is still wet or mostly damp it will stretch way further than it would dry but it will not spring back to the correct length. It leaves it damaged and then it can split or break off! Next you may not have to use your flatiron or curlers MAX HEAT SETTING on your hair!!! Start with it on low and if that is not working bump it up in increments until it starts doing what you need it to do. But don't keep trying it on the same spot over and over until you beat it into submission. Test the different heat settings on different sections each time. Once you have achieved what you want, at the NON-MAXED heat level then go back and finish the rest. Lastly DON'T USE A CURLING IRON, OR STRAIGHTENER ON EVEN SLIGHTLY DAMP HAIR!!!!! What happens when you apply heat to water? STEAM! Yes you just steamed your hair like your veggies! Make sure it is dry and let it cool some after your blow dry before using them, you can over cook your hair, much like your veggies! Next There are chemical treatments that we use on our hair such as colors, bleach, relaxers (if you do that, my curly locked ladies), Perms (if you still live in the 80's). Even styling products like hairsprays, they have an alcohol in them! The faster they dry the higher the alcohol content. Gels, mouse, and creams, to help us bend or straighten those tresses into submission. You seriously didn't think they were made from rainbows and unicorn love did you? I don't care what the package looks like!!!!! It has chemicals that are not your natural oils and can strip those off! So my advice on these is to go as easy on them as you can. You do not need every single thing on your hair! You do not see your stylist in the salon use everything in is supply do you? NO! Work with your stylist on what you need to achieve the look at home with the minimal amount of product needed and maybe even practice it in front of your stylist so they can make sure you are not doing it wrong! Trust me you probably have done it wrong at some point! Also if you shampoo daily your hair is being stripped of its natural oils that keep it healthy and strong. HOLD IT RIGHT THERE!!!! Do Not make the assumption that I am saying stop shampooing your hair so it can grow faster! That is just plain nasty! What I am saying is that doing so every single day is stripping the natural oil so maybe skip one shampoo. But then I will look like I dipped my head in a grease pit! WELL how about dry shampoo instead? OK now we are onto something, but here is a note of caution on that point! Dry shampoo doesn’t actually cleanse the scalp and too much can cause the product to buildup and that throws off the balance of your hair’s natural oils too. 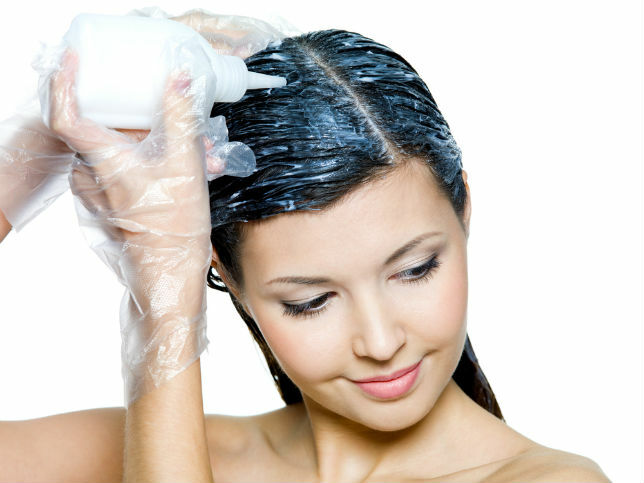 Most dry shampoos contain some amounts of alcohol and have a powder base. If you use these products repeatedly without cleansing the scalp in between, the product will build up and contribute to dry out the hair. It can also train the hair to stop producing natural oils that the scalp requires to stay healthy. So how to avoid those problems and still keep from having to shampoo every day in the shower, or look like a grease ball here is what you do! First, choose an aerosol product that tends to leave less residue. Second when you do shampoo as normal use a clarifying shampoo once a week to remove the residue build up and cleanse your scalp properly. Also, Shampooing the hair twice is ideal: the first wash loosens product residue and the second shampoo washes it away. Then instead of going for weeks on end, and you know who you are, the best rule of thumb is after the second dry shampoo day, don't go any longer. WASH IT! Three days is the max I would say push it, but even then I really don't recommend that. And lastly for serious dry shampoo lovers, use a protein-enriched hair treatment every week and massage the scalp to stimulate the hair follicles and break up any remaining product buildup. Now lastly the only other tips I have are some obvious ones that effect WAY more than just your hair. However if you didn't think these last two things effected your hair growth, I would have to ask you what rock you have been living under? So make sure you are getting plenty of rest and relaxation. Based on studies, when your level of anxiety increases, the nerve cells react by producing a high amount of cortisol through the adrenal gland. This stress hormone, as many call this chemical, has a tendency to shove the hair follicles into the resting stage from the growing phase in an instance. Then there is your diet! (I know a dirty word) but there is proven research which states that cysteine, an amino acid, can potentially reverse hair loss. This is one of the building blocks of protein that can be found in dairy and poultry products. Thus, if you have eggs and yogurt for breakfast, and then chicken or turkey dishes for lunch and dinner, you can digest it naturally. here is another vitamin known as ﻿﻿﻿biotin that can do wonders for your hair and overall well-being. A few dietary supplements contain this coenzyme, but in case you always consume different kinds of nuts, fish, and soybeans, you do not have to worry about the pills. Some of the most sensible ways to make sure you are growing your longest and fullest hair possible! No miracle product or pill to make it magically appear just good old fashion logic! So goeth forth and try these tools that I hath proclaimed to thee, and when thou goes to thine stylist see if they notice the change!